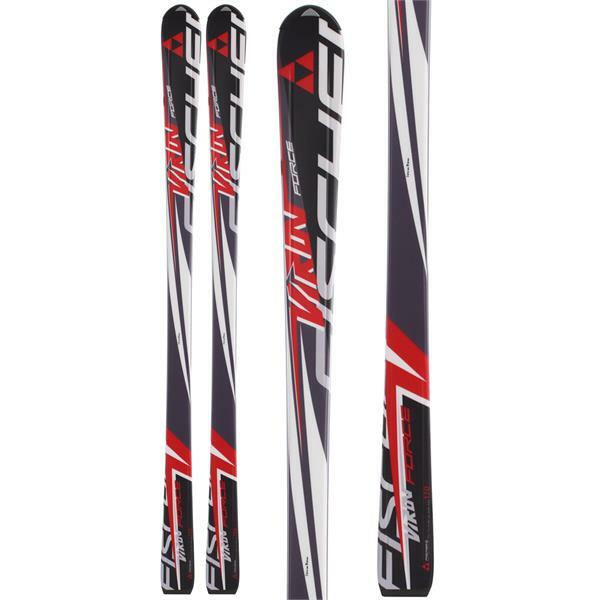 The Fischer Viron Force Skis are the perfect choice for the upcoming winter season if you want reliability and performance value. They are comfortable thanks to the soft materials used in their construction. In addition, they are quite light, so these will let you move easily. They are the perfect length for extended time periods. The Viron Forces are very durable thanks to the carbon fiber technology that provides amazing air power! In other words, these will help you perform better and improve your skiing technique. are these skis racer skis for gs? BEST ANSWER: The Fischer Viron Force Skis are stellar skis for the intermediate skier looking to grip it and rip it on the groom. Awesome frontside carvers that will having you smiling ear to ear. Can you use the Viron Force for GS? Sure, if you want to but they are not an expert level GS specific ski. Hope this helps. Have a stellar winter. do there skis come with bindings? No they do not. You have to get the bindings separately. what are the tip and tail widths of the 170cm ski? What size bindings would I need for this ? 85mm? 100mm? The ski is 70mm under foot so anything with 75-85mm brakes should do the trick! BEST ANSWER: No, I do not recall them being predrilled, not sure any ski comes that way since most binding need to be mounted/positioned differently. No, I instaĺled binding myself. The surface is not smooth, so precise drilling is required. These skis are great! are these skis decent in powder? BEST ANSWER: I would ask if your talking about light west coast powder or east coast powder. I have not skied on them out west but in East coast pa to mont tremblant Canada powder they perform surprisingly well for the price! At any rate I am pleasantly surprised with them and would recommend them! If you anticipate being in powder more than occasionally, you will be happier with a wider, floatier ski. Feel free to call our sales line with any questions. 1-800-409-7669. Are these different from the fp9? BEST ANSWER: I don't know. Sorry. I am an older intermediate/advanced skier. I have used them once and so far I like them. why do the FP9 say beginner to int. While the skis on their own say int-adv? I'm looking for int-adv skis. Does this ski have true sandwich construction? the Fischer Viron Force Skis does have sandwich construction. What season are these from? BEST ANSWER: I bought mine last year mid season. Not sure of the original manufacture date. I like the skis. These Fischer Viron Force Skis are from 2013. You will not need specifically Fischer bindings for these Viron skis. Depending on your boot size you will have a number of options, and I suggest you chat with one of our ski specialists to get the perfect match: 1 (800) 409-7669. No. I am using old Solomon 727s. What is the turning radius? BEST ANSWER: Hi Dillon. A 90mm binding will work, although if the binding has brakes they will be hanging off the edge. With a ski that has a waist width of 70mm you ideally want a binding with a brake width of 75-80mm.